Examines why it’s difficult to form friendships with people of different races, how we can make those connections, and how they will encourage more meaningful conversations about race. Surveys have shown that the majority of people believe cross-racial friendships are essential for improving race relations. However, further polling reveals that most Americans tend to gravitate toward friendships within their own race. Psychologist Deborah L. Plummer examines how factors such as leisure, politics, humor, faith, social media, and education influence the nature and intensity of cross-racial friendships. 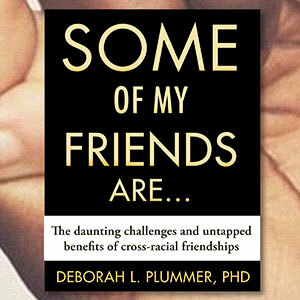 Inspiring and engaging, Plummer draws from focus groups, statistics, and surveys to provide insight into the fears and discomforts associated with cross-racial friendships. Through personal narratives and social analyses of friendship patterns, this book gives an insightful look at how cross-racial friendships work and fail within American society. Plummer encourages all of us to examine our friendship patterns and to deepen and strengthen our current cross-racial friendships.